Since I am up with my back giving me fits, I thought it might be a good time to share a good time I had years ago with the forum members. In 1972 when I was still doing my best Bill Dance impression, six of us made a trip to Lake Eufaula, up at Florence Marina on the upper river end of the lake. We rented a cabin from John Barfield that was actually meant for eight people, so we had plenty of room. Fishing was slow to start this trip, and we were having trouble getting any kind of pattern developed that would result in the kind of action we had grown to expect on this great bass lake. I was doing most of the cooking, so I avoided dish washing, but naturally all the others were complaining when their turn came. John Rankin, my normal fishing partner, challenged the others that if he and I could catch ten keeper bass in an hour and a half, he would no longer do any dish washing. This was a pretty strong bet on John's part with things going as slow as they were, but old John had a trick or two up his sleeve. There was a series of small ponds formed by beaver dams about a mile from the cabin. You could raise your big motor and use the trolling motor and gain access to the ponds. John put a big old silver flash darter on and he'd work that thing hard, raising all kinds of surface commotion from where he cast coming back across good sized openings. He had me follow up with a Rapala, working it ever so gently about ten feet behind that darter. As you can see, we caught 16 really good bass, and arrived back at the cabin in one hour and ten minutes. No more dish washing for John. I sure wish he was still with us for some of our fishing trips. He was the best bass fisherman I ever fished with. Hope your back feels better......I know how those nights can be. Catch and release had not even been thought of back then. A lot of trophy bass got mounted, but nearly all got the fillet knife and the hot grease. 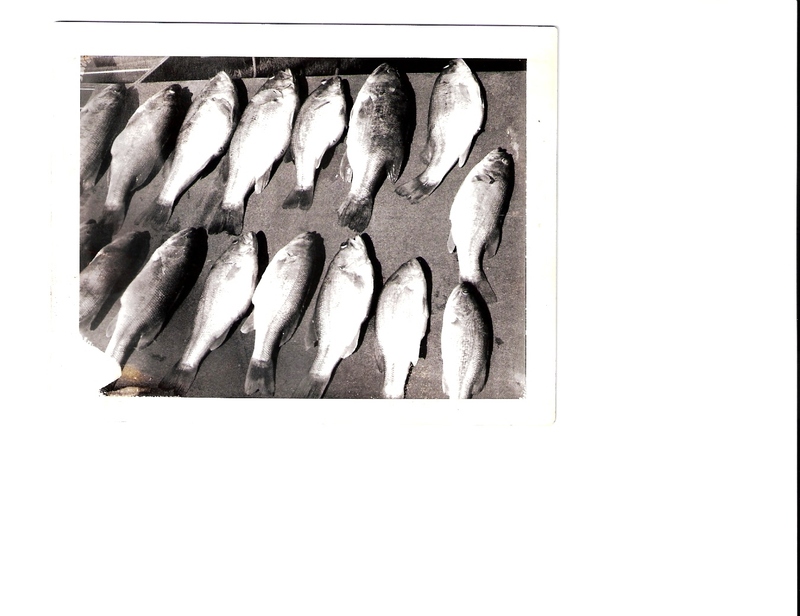 Bass fishing was truly great back then with uncrowded conditions being the norm. You had to experience smallmouth in the jumps on lakes like Smith Mountain to believe how good it was. That's a nice catch for sure and with the bonus of no more dish washing for John makes it even nicer. Weasel, John Rankin was the kind of bass fisherman who could have won a lot of money in the tournaments. He had more tricks up his sleeve than Houdini when it came to catching what he called "Stump bass". He and I shared some really good strings of bass over the years. I sure miss him and that is a fact.